Teachers are overworked and underpaid, but they do it all because they love their students. We want to give back to them by recognizing their hard work and dedication to the children of our community. Nominate a current teacher in your school system who has changed your or your child’s life. Each month, WXCY will reward one teacher who will be acknowledged for all they do every day with a $100 VISA gift card for all the supplies needed in their classroom. 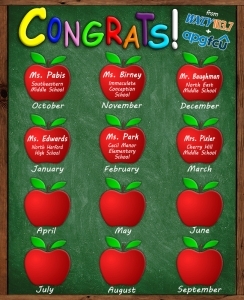 We will have monthly prizes for each month’s nominee receiving “Teacher of the Month” and a grand prize winner at the end of the year earning the title of “WXCY’s Teacher of the Year”. On the first of every month, we will announce the winning teacher with the Breakfast Blend at 6:30 am. 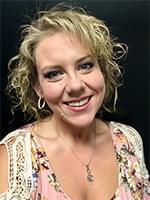 WXCY’s Teacher of the Month is presented by APG Federal Credit Union.